What teaser? I’ve missed it somewhere? I personally didn't have a lot of faith after episode 8 but I really liked this trailer, it has restored my faith. Although I did like episode 7. I wasn't a huge fan of TLJ but I am very excited to see Ep IX now. It will be interesting to see how they end the Skywalker saga. The title is iffy but I am going to go into the movie with an open mind. Is that laugh EP or Snoke or Old Luke? And yet you will watch it anyway. ummmmmmm was the EMP palpatines laugh at the end? Ep 8 Was RJ's ISHTAR (Look it up). JJ might pull this out. The rise of Skywalker can mean one of two things IMHO. Either they are going to play on Kylo coming back to the light (He is a descendant of Anakin Skywalker) or... Rey is revealed to be a Skywalker. Let me know how it goes when it's released. I'll watch it on Demand. You're going to need Disney's new streaming service for that. Tbh I’m not really a big fan of the new trilogy. I liked rogue one and it solo was OK, but the new trilogy just seemed disconnected from the older movies. The writing for eight was just atrocious and I don’t know if I can get hyped for nine. Looks like Death Star II wreckage followed by Palpatine’s laugh. I’m predicting, Force Ghost Luke facing off against the Sith spirit of Palpatine. After the TLJ, my interested has diminished. 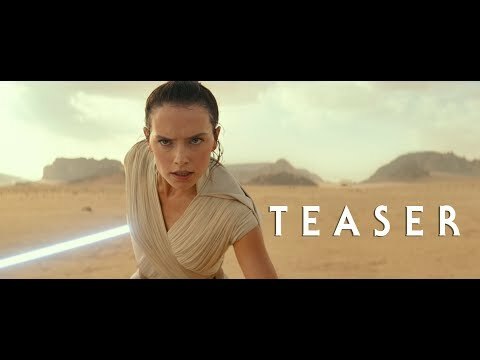 Teaser for this looks good, teaser for TLJ looked good as well. People will find a reason to hate it. Called it. Plagueis. Bane. Sidious. Tyranus. Maul. Lightsiders fade into the Force while Darksiders are trapped in a purgatory of mass formlessness, exiled to roam the galaxy. Snoke was one of Kylo's Padawan buddies (probably a good-hearted chap) infected and contorted by that Dark Spirit. And now, it's time for that Spirit... to end.